In 1917 Annie Besant, a white Englishwoman, was elected president of the Indian National Congress, the body which, under the guidance of Gandhi, would later lead India to independence. Besant - in her earlier career an active atheist and a socialist journalist - was from 1907 till her death the president of the Theosophical Society, an international spiritual movement whose headquarters’ location in Madras symbolized its belief in India as the world’s spiritual heart. 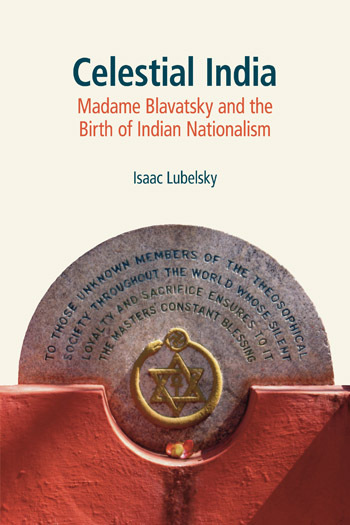 Celestial India deals with the contribution of the Theosophical Society to the rise of Indian nationalism and seeks to restore it to its proper place in the history of ideas, both with regard to its spiritual doctrine and the sources on which it drew, as well as its role in giving rise to the New Age movement of the twentieth century. "An ambitious overview of the rise, character, influence, and decline of Theosophy."